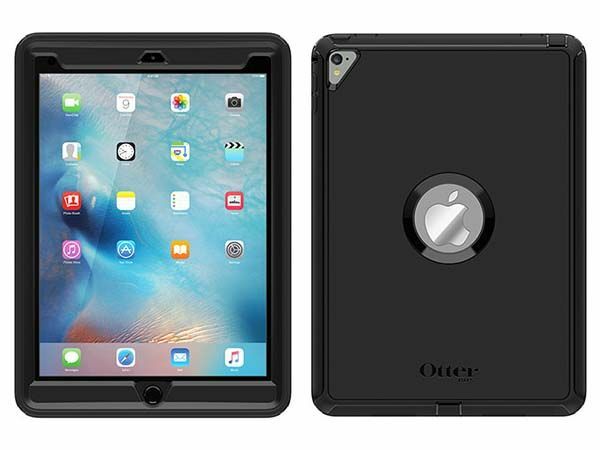 OtterBox has expanded its well-received Defender Series to cover 9.7-inch iPad Pro. With its rugged design, the protective case guards your tablet in your daily life, and included cover delivers you more features. The Defender Series is an ultra strong, three-layer snap-on protective case designed for 9.7-inch iPad Pro. As we can see from the images, the iPad Pro case shows off a minimal and low-profile design along with two optional colors, and it seems that its rugged and tough construction doesn’t stop it from showing its slim and sleek profile. 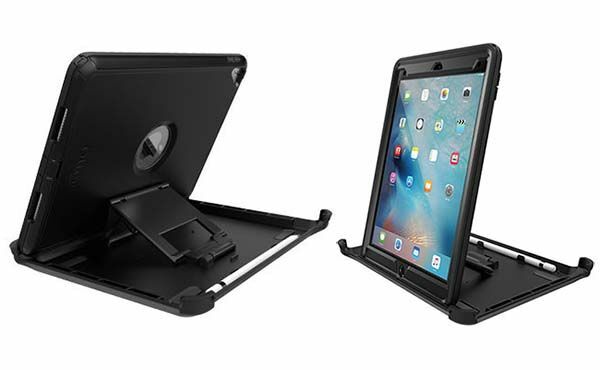 The iPad Pro case features a robust three-layer body that consists of polycarbonate shell, synthetic rubber slipcover and built-in screen protector in order to all sidedly protect your iPad from shocks, scratches and scrapes. Meanwhile, port covers block entry of dust and dirt, and you can easily access to all iPad Pro functions and ports. 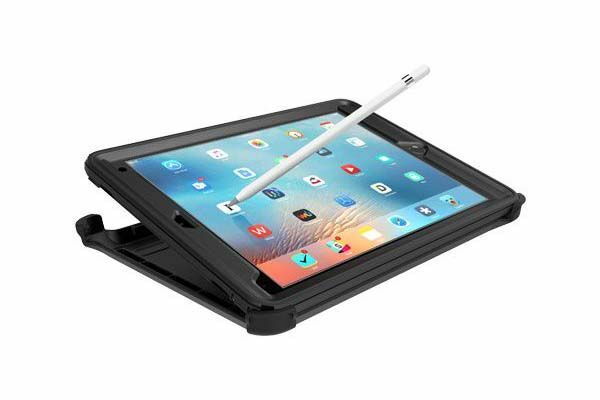 When not in use, its custom shield cover provides enhanced protection, and it doubles as an iPad stand that supports both portrait and landscape modes for handsfree viewing, and built-in Apple Pencil holder keeps the perfect iPad Pro companion in place. The Defender Series 9.7-inch iPad Pro case is available in two colors, each costs $89.95 USD. If you’re interested, jump to OtterBox for its more details. BTW, also don’t miss Booqpad 9.7″ iPad Pro case and more related cool stuff by following tags.